In his talk, Barrett traces false flag terrorism back to Operation Gladio. The latter was a US military operation in Europe involving bombings and other terrorist attacks targeting civilians that were falsely blamed on left wing groups (eg the Red Brigades, the Baadar Meinhoff Gang and the KGB). The overall purpose of Operation Gladio terrorism was to influence European elections at a time when Communist politicians enjoyed large majorities in the polls. According to Barrett, this strategy represents a form of trauma based mind control or psyops (psychological operation). As with Gladio, the cumulative effect of such attacks is to swing the vote for right wing authoritarian leaders who promise people protection and security. Barrett has collaborated with ex-CIA undercover officer Robert David Steele to conduct extensive research into the false flag attacks in London in 2005 and 2017; in Manchester in 2017; in Paris in 2015, in Nice in 2016; in Munich in 2016, in San Bernadino in 2015 and in Orlando in 2016. In this presentation, he briefly summarizes the pattern of anomalies suggesting each of these events was staged by individuals with links to the US military and/or US intelligence. He has written about them in a series of books – Another French Flag: Bloody Tracks from Paris to San Bernadino, Orlando False Flag: the Clash of History, and We Are Not Charlie Hebdo: Free Thinkers Question the French 9/11. It’s Barrett’s view that both the British and French false flags resulted in the defeat of left leaning candidates (Corbyn in Britain and Melenchon in France) who were riding high in the polls – just like the Operation Gladio false flags of the 50s, 60s and 70s. 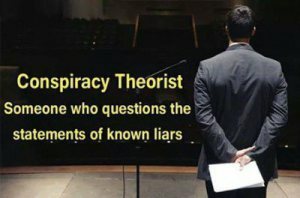 Barrett maintains 9/11 was the mother of all false flag events, in addition to decapitating the burgeoning antiglobalization move (sending 75,000 into the streets of Seattle in 1999), 9/11 and its aftermath transferred immense power to Bush’s neocon supporters (Cheney, Rumsfeld et all), enabling them to suspend civil liberties, increase surveillance and police state powers and carry out massive US military expansion in the Middle East.